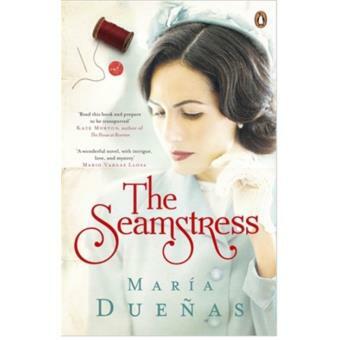 María Dueñas's million copy best-selling tale of adventure, tragedy, love and war, The Seamstress, a Richard and Judy 2012 book club pick. Spain, 1936 and the brink of civil war. Aged twelve, Sira Quiroga was apprenticed to a Madrid dressmaker. As she masters the seamstress's art, her life seems to be clearly mapped out - until she falls passionately in love and flees with her seductive lover. But in Morocco she is betrayed and left penniless. As civil war engulfs Spain, Sira finds she cannot return and so turns to her one true skill - and sews beautiful clothes for the expat elite and their German friends. With Europe rumbling towards war, Sira is lured back to Franco's Nazis-friendly Spain. She is drawn into the shadowy world of espionage, rife with love, intrigue and betrayal. And where the greatest danger lies. . .
María Dueñas holds a PhD in English Philology and is currently a professor at the University of Murcia. She has also taught at American universities, is the author of several academic articles, and has participated in various educational, cultural and editorial projects. She is currently writing her second novel.